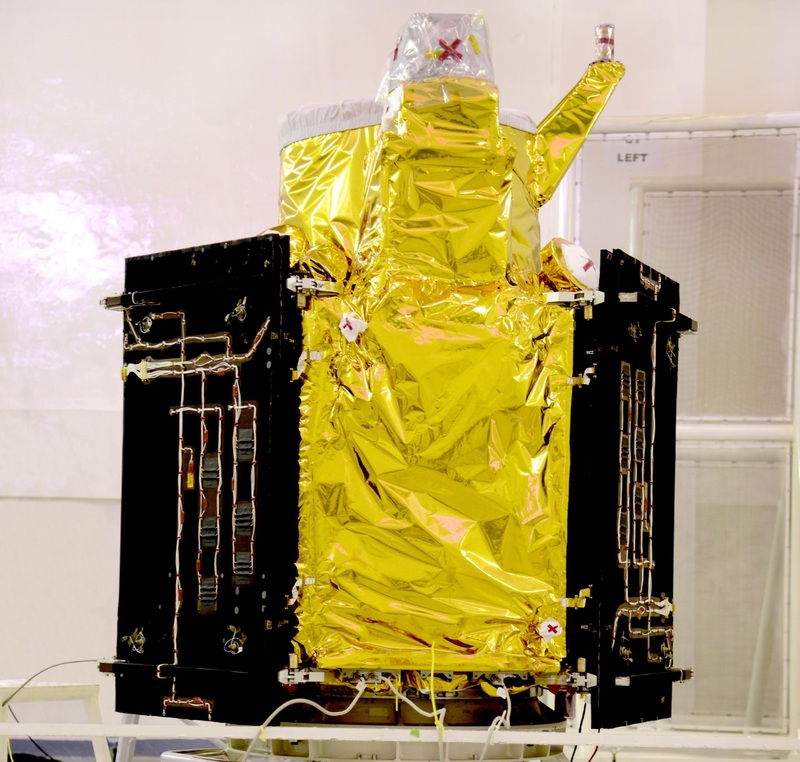 Riding in the main passenger slot is India’s CartoSat-2D Earth-imaging satellite accompanied by a pair of Indian microsatellites and 101 CubeSats that will deploy in swift fashion after the rocket reaches an orbit 500 Kilometers in altitude. 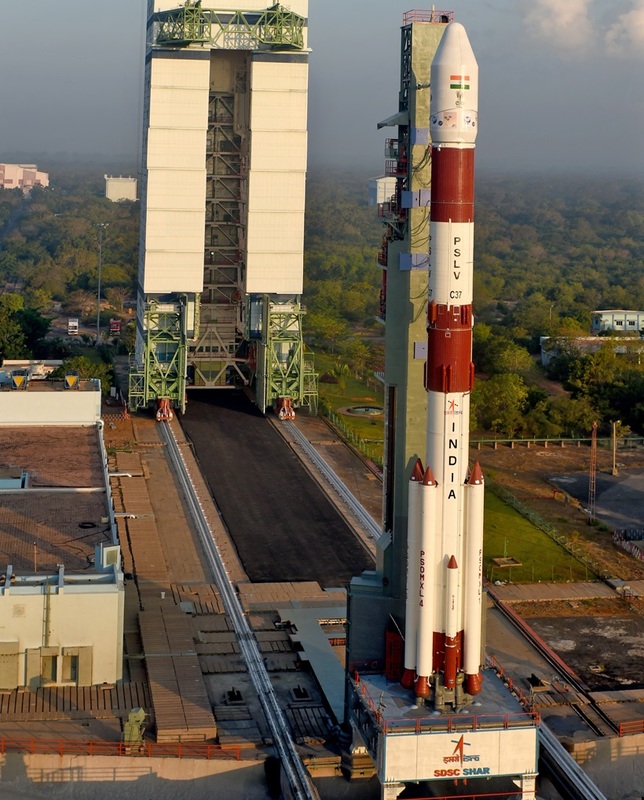 PSLV, flying in its powerful XL configuration, will blast off from the First Launch Pad at the Satish Dhawan Space Center on India’s East Coast at 3:58 UTC on Wednesday. The four-stage rocket will climb out to the south-east to clear the island of Sri Lanka before turning west to home in on the targeted Sun Synchronous Orbit with deployment of all satellites expected to be complete 43 minutes after liftoff. Wednesday’s mission will eclipse the current record for most active satellites launched on a single rocket, held by the Russian-Ukrainian Dnepr launch vehicle that lifted 37 satellites of different shapes and sizes into orbit in June 2014. India’s PSLV is no stranger to multi-payload missions, having set its personal best in June 2016 with 20 satellites of various sizes. 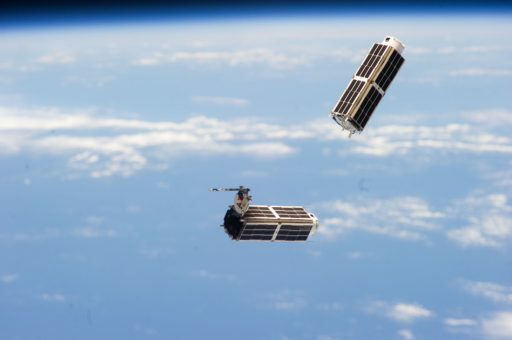 A trend toward smaller and smaller satellites emerged over the last decade following the introduction of the CubeSat form factor at the turn of the century. 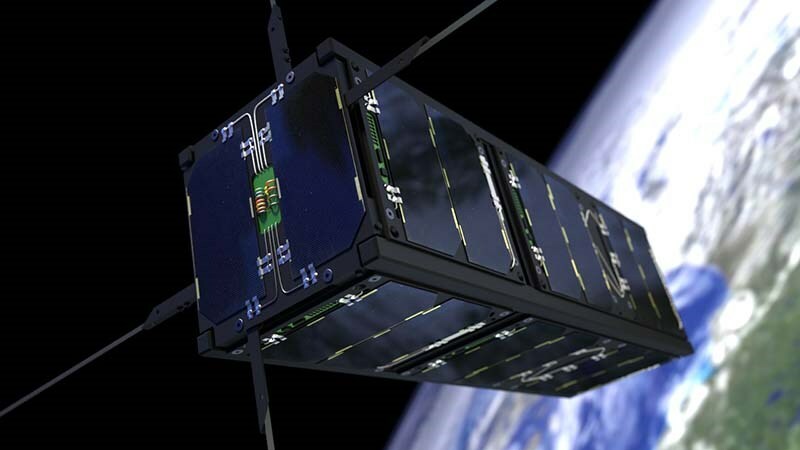 Initially, CubeSats were envisioned as low-cost platforms for educational and outreach missions, however, advances in technology enabled operational payloads such as imaging systems to be miniaturized to fit aboard the small satellites – making them interesting for the commercial sector. Educational satellites accounted for the majority of CubeSat launches until 2013 when commercial CubeSats became the more prevalent species. 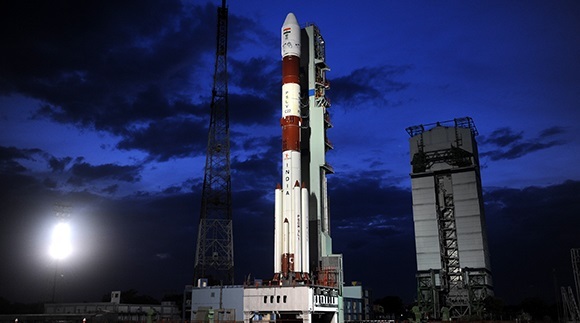 The CubeSats aboard PSLV’s record-setting mission span a number of applications, showcasing their value as small-sized Earth-observation, meteorological, ship-tracking and research platforms that can be launched cost-efficiently as secondary payloads. PSLV’s payload includes satellites from India, the United States, the Netherlands, Israel, Switzerland, Kazakhstan and the United Arab Emirates. 88 of the CubeSats represent the Flock-3p Earth-imaging constellation deployed by San Francisco-based company Planet, the largest number of satellites launched by a single operator at one time. 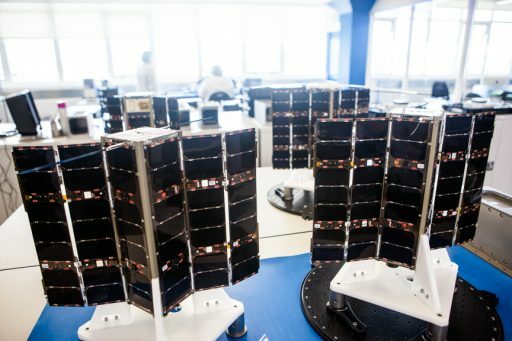 Planet operates a large number of ‘Dove’ satellites to capture medium-resolution imagery offered on the commercial market for a variety of purposes. Prior to PSLV C37, Planet deployed a total of 133 Dove satellites, most of which used the International Space Station as an orbital launch pad while others were launched into polar orbits by PSLV and other rockets. 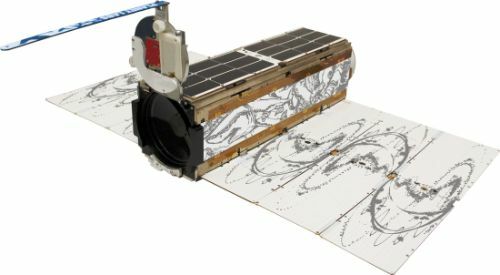 Flock-3p will enable Planet to achieve a 100-satellite “line-scanner” constellation, imaging the entire Earth every single day. Eight Lemur-2 satellites operated by Spire are also flying on the PSLV, expanding the company’s active constellation to 29 CubeSats, capturing atmospheric data for use in meteorology and tracking ship traffic across the planet. The Lemurs make use of GPS occultation measurements to deliver vertical profiles of atmospheric temperature, humidity and pressure for use in weather forecasting while signals of the Automated Identification System are utilized for space-based tracking of ship traffic. The remaining five CubeSats are dedicated to a variety of technical demonstration and research missions. 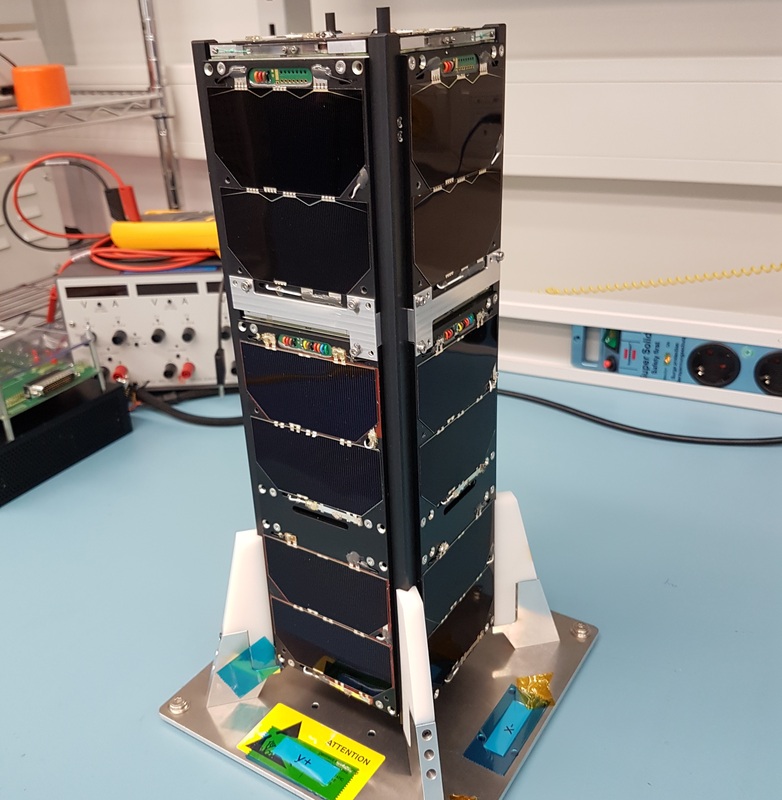 PEASSS, a 3U CubeSat, was manufactured by a European Consortium to deploy a testbed for smart structures to orbit – demonstrating piezo-actuated systems that could build the foundation for future, ultra-stable satellite platforms for application in imaging. DIDO-2, operated by Swiss-Israeli company SpacePharma, is a miniature research lab fitted aboard a 3U CubeSat to carry out microgravity experiments in biochemistry, biotechnology and microphysics for commercial operators. The remaining three satellites are primarily dedicated to education: BGUSat built by Israeli students hosts an Earth-Imaging camera and different tech demonstration payloads, the Kazakh Al-Farabi-1 2U CubeSat features a commercially-available imaging system and Nayif-1, the first NanoSatellite of the United Arab Emirates, carries an amateur radio payload. In addition to an assortment of CubeSats, PSLV is also lifting a pair of Indian NanoSatellites, introducing a new Nano Satellite Bus that is hoped to provide a cost-effective way of deploying payloads of up to five Kilograms to orbit. Set for short-duration missions of up to a year, the INS-1A and B satellites will study the reflectance of different surfaces on Earth, assess commercial electronics in the space environment, measure Hydrogen in Earth’s tenuous upper atmosphere and demonstrate an innovative camera with ultra-slim optics. A total of 25 QuadPack deployment mechanisms facilitate PSLV’s CubeSat payloads while the two INS satellites ride on separate payload adapters. In total, the mission’s secondary payloads account for 664 Kilograms of C37’s total upmass of 1,378 Kilograms. 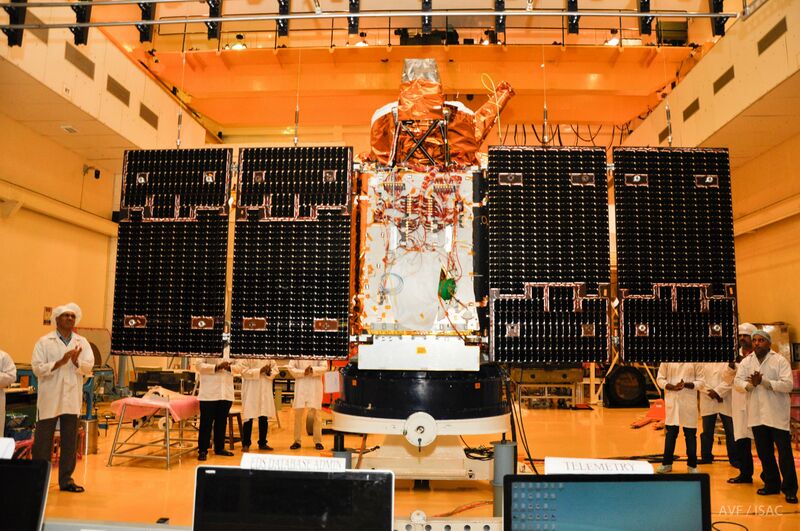 The primary payload of Wednesday’s mission is the 714-Kilogram CartoSat-2D, the fifth in India’s second generation of CartoSat spacecraft dedicated to environmental monitoring and cartography. CartoSat-2D will join the 2C satellite launched last June to establish a two-satellite constellation enabling imaging of the Indian territory at high revisit rates. Orbiting at 505 Kilometers, the CartoSat spacecraft employ panchromatic and multispectral imaging systems to deliver imagery at a resolution of up to 65 centimeters for use in cartography, environmental monitoring, disaster relief and event monitoring. Wednesday’s launch will employ the XL version of the 45-meter tall Polar Satellite Launch Vehicle, leveraging the raw power of solid rocket motors in combination with the precision of liquid-fueled engines to accurately inject payloads into a variety of orbits. 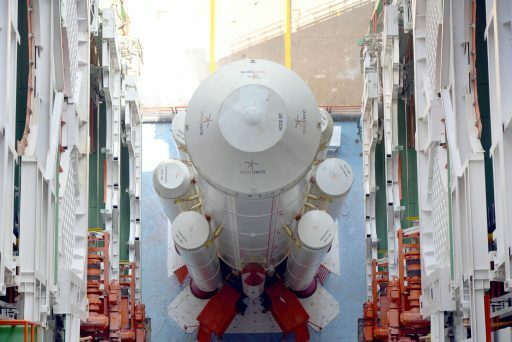 PSLV will head into a 28-hour countdown Monday night, taking advantage of the recently introduced remote-controlled tanking feature on the rocket’s second and fourth stages to cut in half what once was a countdown operation taking over two days. Propellant loading will be completed over the course of the day on Tuesday before the launcher heads into a final sequence of systems activation and tests before pressing into the automated phase of the countdown that will set the stage for a speedy liftoff. Firing up its massive core stage plus four of the six boosters clustered around it, PSLV will leap off its launch pad and climb vertically for a brief moment before pitching and rolling onto a south-easterly trajectory. 25 seconds into the mission, the remaining two boosters will ignite, increasing the rocket’s thrust to over 800 metric ton force, quickly accelerating beyond the speed of sound. 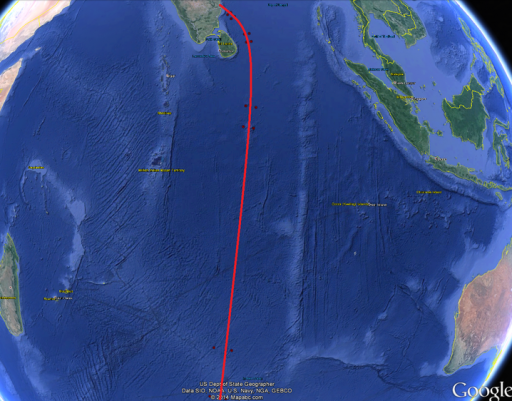 PSLV will be facing the usual dogleg maneuver to avoid flying over the island of Sri Lanka – a slight detour from the desired south-westerly ascent trajectory to avoid passing over inhabited areas. Initially headed to the south-east, PSLV will drop its 13.5-meter long boosters at 70 and 92 seconds into the mission followed by burnout of the core stage at T+1:51 after it consumed 168 metric tons of solid propellant. Separation of the second stage will be completed split seconds after first stage burnout as powered flight is handed over to the 81,500-Kilogram-force Vikas 4 engine that will fire for two and a half minutes. PSLV will split open and separate is payload fairing halves two minutes and 38 seconds into the mission when passing 117 Kilometers in altitude where aerodynamic forces can no longer harm the satellites. Vikas-4 will shut down four minutes and 22 seconds into the flight, handing off to the solid-fueled third stage that will be tasked with a 113-second burn at an average thrust of 25 metric ton-force. A short coast phase occurs between burnout on the third stage and the ignition of the twin-engine fourth stage at T+8 minutes and 22 seconds on a burn of eight minutes and 25 seconds to finish the task of lifting PSLV into a Sun Synchronous Orbit just over 500 Kilometers in altitude. Propulsive flight will end just shy of T+17 minutes with separation of the CartoSat-2D satellite half a minute later and the two INS microsats departing the vehicle just ten seconds thereafter. Separation of the CubeSats will be completed over the course of a ten-minute and ten-second sequence picking up at T+18 minutes and 33 seconds. Sending a very large population of CubeSats into orbit does not come without challenges, especially in the identification of individual satellites, a process expected to take several days to a few weeks as the CubeSats slowly drift apart. Wednesday’s launch will again carry RocketCams on the PSLV launcher to capture staging and separation events and the mission will be the first to rely on India’s indigenous IRNSS navigation satellite constellation for on-board orbit determination. Copyright © 2019 PSLV C37. All rights reserved.